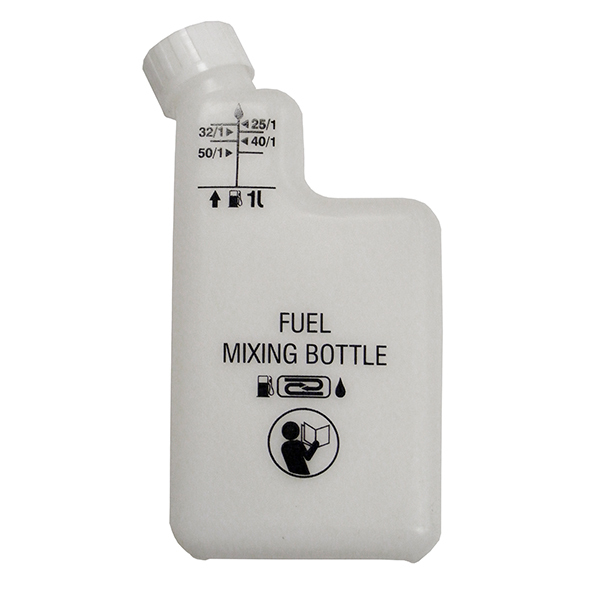 Fuel mixing bottle with 1L capacity (not including the oil mix). Clearly marked for different ratios. For simple and accurate mixing of 1 l of 2 stroke fuel.